THE WRITING BUDDHA - Opinions | Books | Movies: A Broken Man by Akash Verma (Book Review- 3.5*/5)!!! 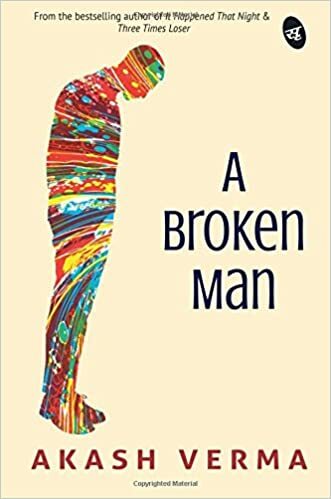 A Broken Man by Akash Verma (Book Review- 3.5*/5)!!! I had read Akash Verma's Three Times Loser when it got released some 4 years ago. Since then I have been asking the author to publish his next book as TTL had impressed me a lot. To whomsoever I gave that book have fallen in love with it. Even today, my friends are rotating it among themselves. Akash Verma have finally come up with his new book after a long gap named "A Broken Man". The story is basically about how casteism and discrimination based upon it is prevalent in many parts of India from years. The character of Krishna states the phase that they have to go through as they are regularly reminded about what their real stature is. They are not allowed to live a normal life like every human beings and not dream big as they know opportunities are not for them. Akash Verma have brilliantly sketched this character which starts winning your heart right from his entry in prologue and then in the flashback. The entrance of Chhavi gives story the needed boom after which book goes to the next level itself. Reading about the politics in the university was so fresh for someone like me who have never experienced it that I wanted to read more and more about it. The debates between the lead characters during the street plays are one of the best scenes in the book. Later on, the initial interactions between both the characters post-rivalry is also treated very well. In short, I give full marks to the first half of the book. The characters of Gope, his team, Chhavi's father, Krishna's parents are also amazingly crafted. The problem arises in 2nd half when the romance prevails the wonderful set-up of politics and caste discrimination issue. It takes the same face of other romantic and college campus love stories and takes you 4-5 years back when such stories were written back to back by Indian authors. But the book gains pace again in the latter part of 2nd half when the protagonist gets recognition in his organization for his writing skills and the change that happens afterwards. Author has been able to send across the message that anyone who has been pulled down for something all his life should not feel weak as the real potential lies within himself which can take him to heights. The poetry are also beautiful but so much Hindi in an English novel does not suit the book. Rest, I would say that the book is a fine attempt and I give it 3.5* out of 5. Read it for its amazing first half!